Room For Every Nightmare... A Nightmare In Every Room. 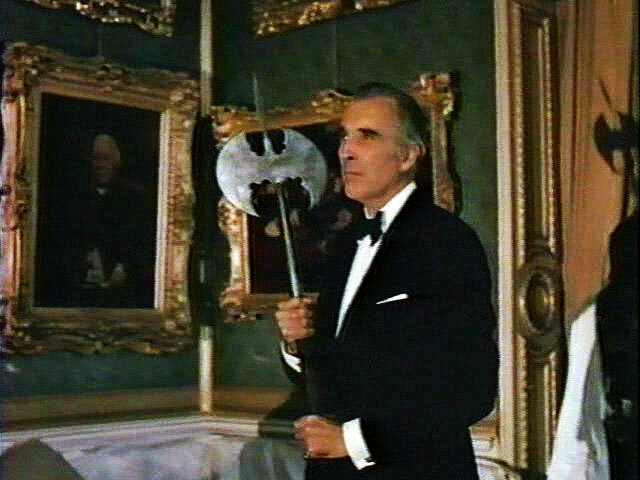 Hammer Films was, and remains, the ultimate horror movie studio. It embodied quality, style and real dedication; the amount of consistently great movies they released simply puts to shame any other studio that focused on the genre. 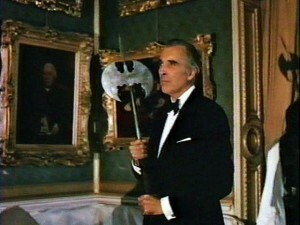 Hammer quickly became synonym of solid entertainment and pure fear. It was a good-spirited studio and I mean that metaphorically; I’m not talking about ghosts here. Most importantly perhaps, Hammer Films was attached to the Holy Triad, also known as the three best actors ever: Peter Cushing, Vincent Price and Christopher Lee. If you don’t agree with me, I beg you to go outside, stand in the middle of the street, and wait for the next vehicle to run over you. Thank you. 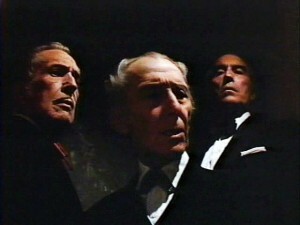 Unfortunately, Hammer stopped producing movies in 1979 with a remake of the Hitchcock’s thriller The Lady Vanishes. 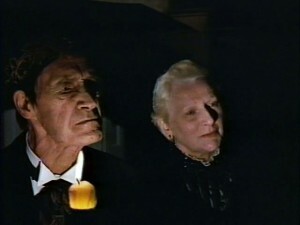 The last breathe of the studio was the short-lived television series Hammer House Of Horror in the early eighties and then Hammer House Of Mystery And Suspense a few years later. There’s been talk about resurrecting the company but we know it won’t be the same. Wait a second. Doesn’t that sound familiar? 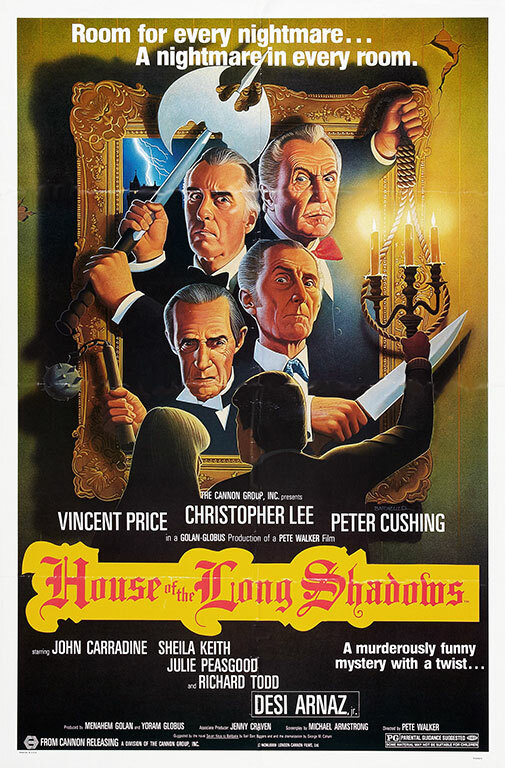 Of course, that’s basically the premise of Scratches as well, and you’ll be interested to hear that House Of The Long Shadows, along with House By The Cemetery and The Challenging, was one of the key movies to influence that game. The similarities end there though except for one plot device that I won’t mention here to avoid any spoiling either story. Suffice to say, fans of Scratches will be delighted with the unfolding of the events in House Of The Long Shadows. 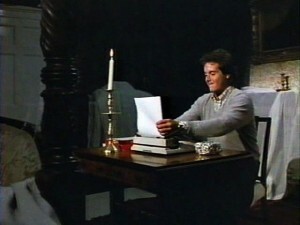 Anyway, Kenneth finds that the place isn’t empty at all as he first meets the caretakers who apparently have been living in there throughout many years, and then truly bizarre characters start coming in from the stormy night. They all happen to be members of the Grisbane family who share a terrible secret and periodically celebrate a very mysterious meeting; except that the presence of Kenneth tonight will lead to unexpected results! The finale has been criticized by many and of course I won’t say a word about it here, but I never really minded the (several) final twists. If anything, they are there to remind us that this movie was always intended to be a tongue-in-cheek affair. 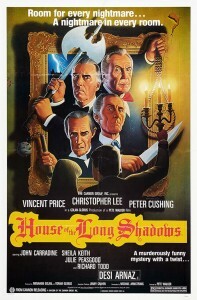 House Of The Long Shadows works beautifully and really holds your interest until the very last minute. Particularly, the flamboyant entrances into the house from the three big stars are a feast to the senses: Cushing is perfect with his piercing eyes and ghostly looks; Price dashes in with his cape and hat, lightnings included, and announcing aloud “I have returned”; and Lee is downright scary with his grave semblance. This is clearly why the movie was made, a vehicle for these fine gentlemen to feature their talents, and it pays off: they are all marvelous as expected and their exchange of dialogue and facial expressions is superb. It may be the only remarkable thing about the movie but it’s more than enough. Which makes me wonder why such a piece of historical importance remains an underdog in the genre. Worse, it still hasn’t appeared on DVD yet, which can only mean that even whoever holds its rights has forgotten about it. It’s a shame because it deserves to be watched and enjoyed by many; to me, it remains the best coda of the Hammer era, even if it wasn’t made by the studio. 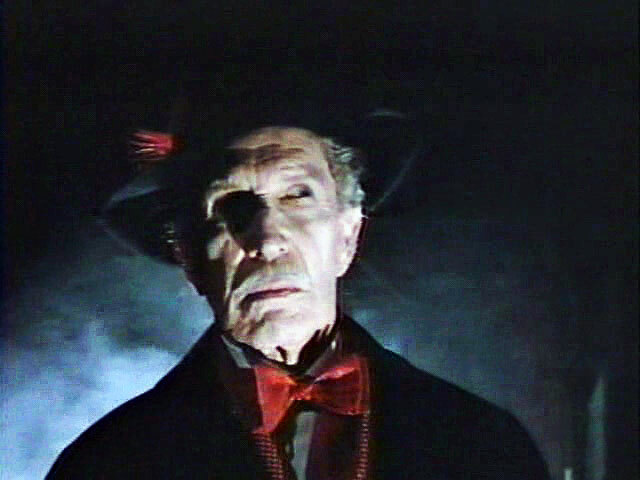 And of course, it also happens to be a most suitable coda for Peter Cushing’s career, who passed away a few years after the movie was finished, his last genre performance. Need I say more about House Of The Long Shadows?